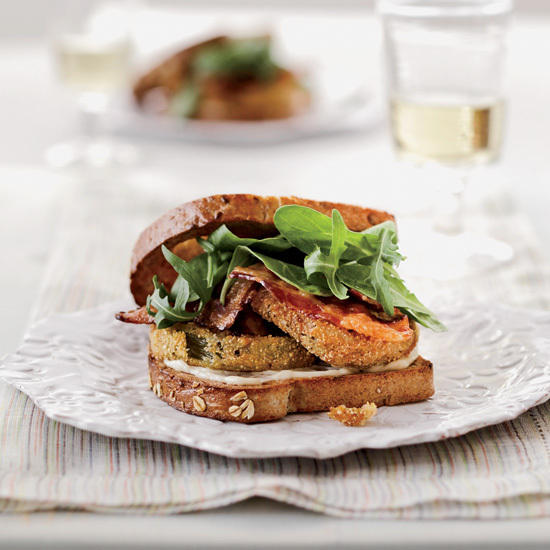 These bacon sandwiches–which also feature lobster, trout, chicken and more–are perfect for a filling and easy-to-make breakfast, lunch or even dinner. 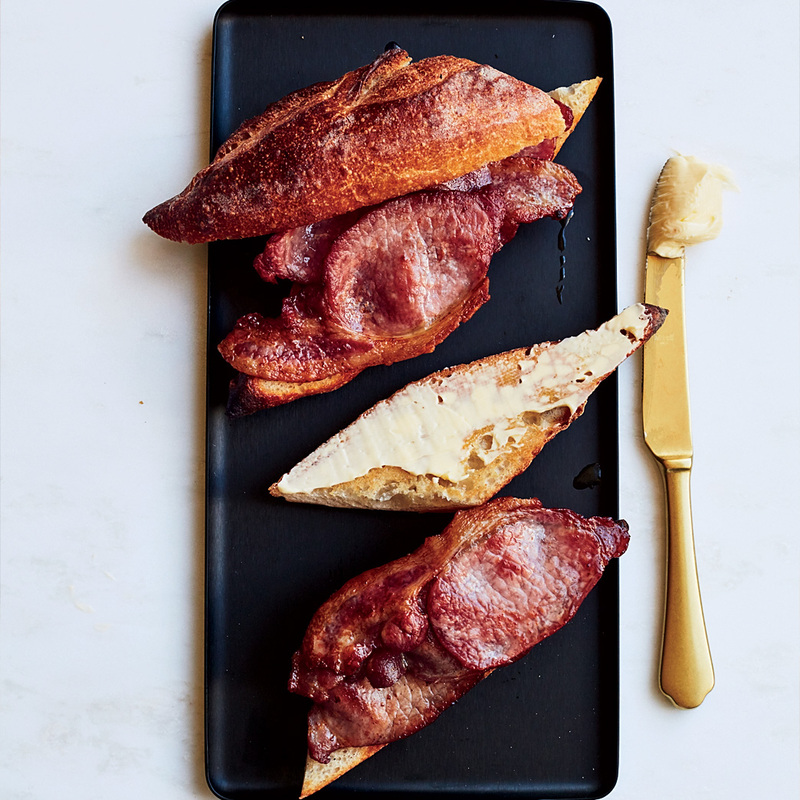 Pastry genius Dominique Ansel gives the beloved English "bacon butty" a French accent by subbing slender baguette for the standard white toast. Flavor upgrade: Ansel replaces the traditional ketchup with sherry. "These were a staple of my Sunday brunch when I was a line cook at the Admiral Risty restaurant in Rancho Palos Verdes, in Southern California," says Greg Lindgren, who now co-owns some of San Francisco's best bars, including Rye and 15 Romolo. 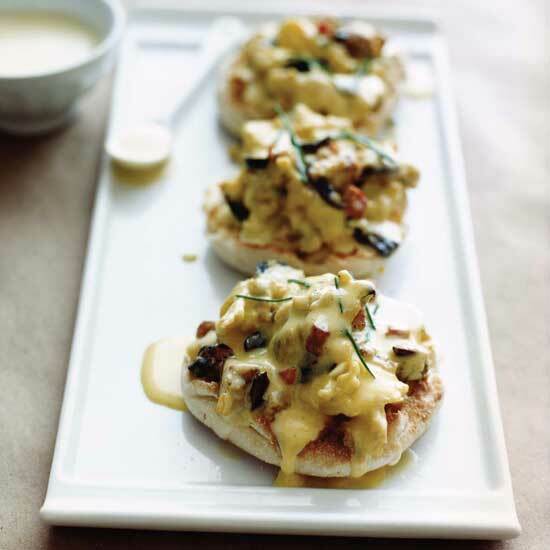 The decadent take on eggs Benedict includes scrambled eggs "with anything and everything," Greg says: Canadian bacon, cheese and jalapenos, all covered with hollandaise sauce. Cheese curds are small chunks of just-made cheese that haven't been pressed into a shape. 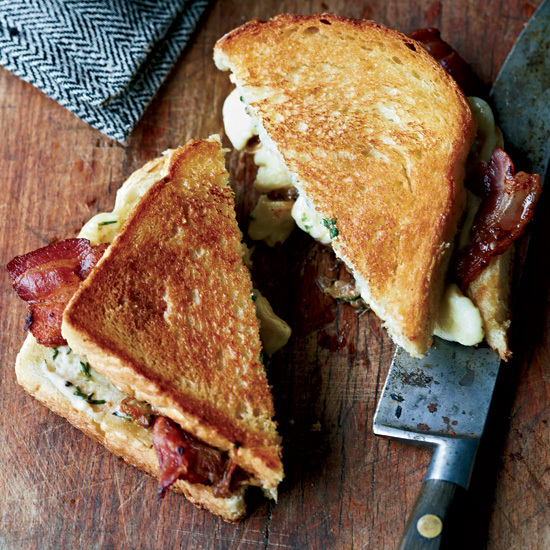 They're milky and delicious in a grilled cheese sandwich like this one, which is spread with Joe Beef's signature "chicken glace mayo," made at the restaurant with chicken stock that Morin says has been "reduced to oblivion." He suggests substituting beef bouillon to replicate his uniquely savory mayonnaise. 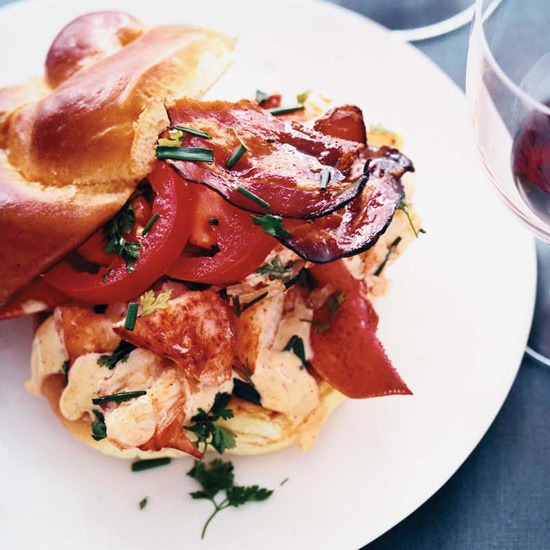 Shea Gallante's delectable sandwich is filled with crunchy bacon, sweet chunks of lobster (replacing the usual lettuce) and herb-spiked mayonnaise. "When you add lobster to a sandwich, there's no way it won't be great," he says. 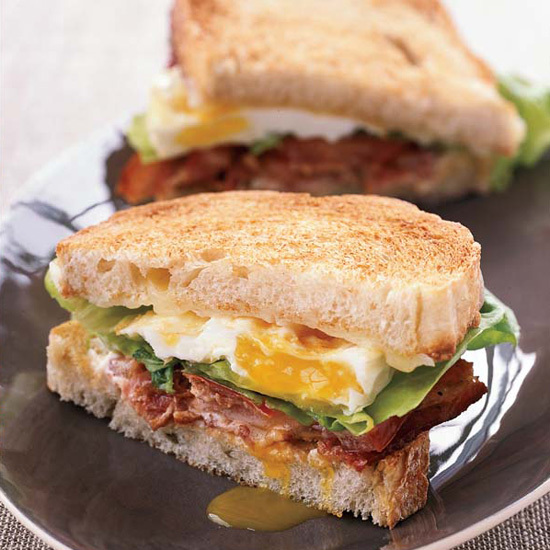 Thomas Keller's scrumptious recipe combines three of the world's most popular sandwiches--bacon, lettuce and tomato; fried egg; and grilled cheese.